I recently installed a PB Killswitch. 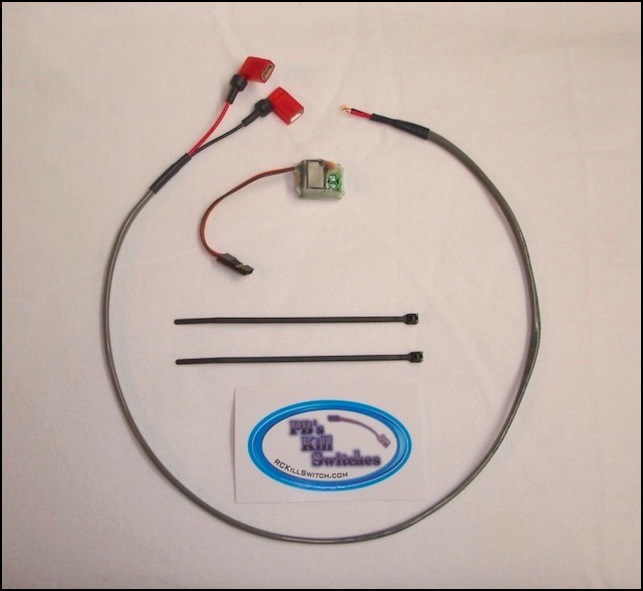 This small device will eventually save my Baja and everyone around in case of a signal loss or low battery or whatever can happen to a radio controlled vehicle. 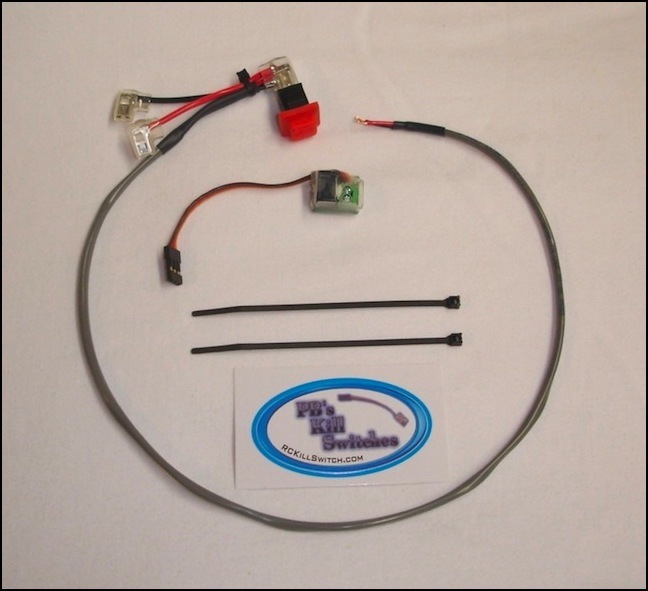 Actually, it's a clever small and very light thing that plugs in the 3rd channel of the receiver and connects to the engine kill switch. All you have to do is arrange on a button of your radio to act as an on-off switch for the 3rd channel. In any of the above events, it will kill the engine. Alas, one can kill the engine on demand by just pushing a button on the transmitter. I love it! And it works! I bought the kit No. 3, doing a small false economy, saving myself about $30 or so! Why? Because the Kit No. 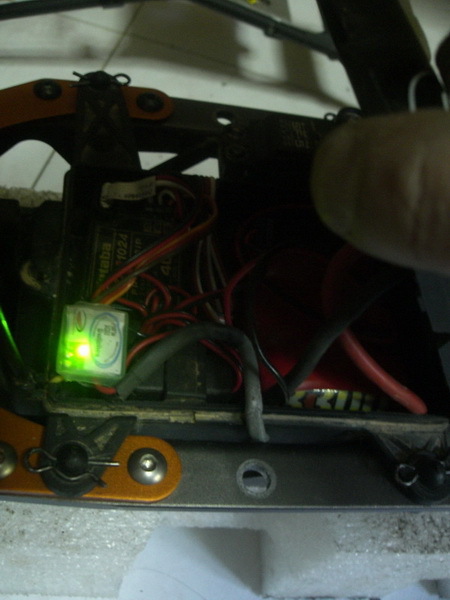 4 comes with an extra led light that you can install anywhere on the car and have visible clue on the operation of the PBKS! Here's my own installation. The grey cable running alongside the left side of the chassis, enters the radiobox. 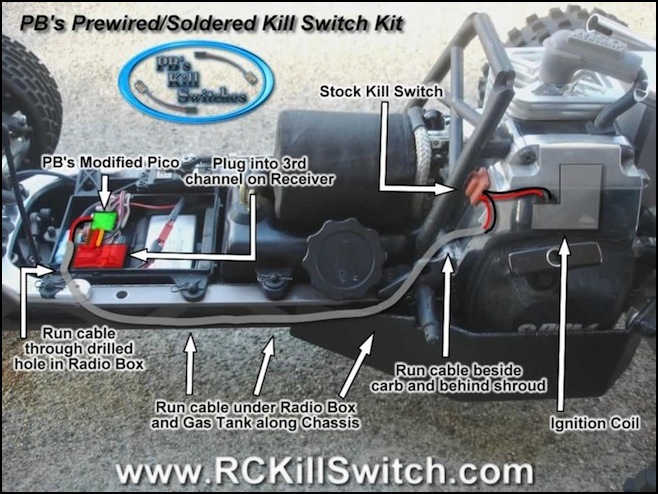 This is how I can see that the killswitch is working. I had to drill a 4mm hole on the radiobox cover and then put a small transparent sticker leftover on the hole, so I can see it working. This is the inside of the radiobox, with my 3-channel receiver. It's a tight fit, indeed but it works! Next, I realized that the 3-channel receiver was obsolete for the baja! 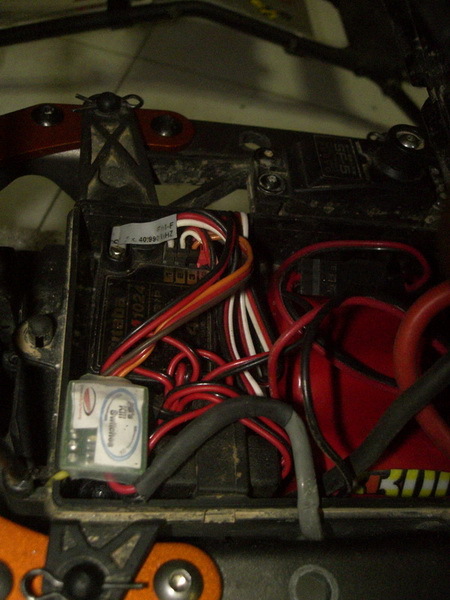 But... Why do you need a SIX-channel receiver to control a Baja?!!! Click here to see why!